Embracing the Arts through demos, art shows, and special events. ​Events are fun, and that is right up our alley. Come celebrate our art shows and open studios when we bring out the food and love to talk about art. How about our free demo days? ​We also like to participate in community activities in all three of our locations. Artist Statement: Today we have more distractions than ever. We cannot drive our cars without the cell phone going off. We spin about controlled by our phones, social media, streaming news flashes and noise. We are being stressed like never before and it seems difficult to change our trajectory. But there is Nature. Nature who can calm us down and defrag us with her beauty and acceptance. Coming back to nature is being centered. You remember it from before technology. You remember that you liked walking in the woods, discovering a new plant, hearing a new bird. You like when the woods bloom in spring and the fragrance travels on the wind. It makes you quiet again. Creativity happens when we are quiet. It is an in-the-moment activity, a meditation. It is where inspiration is born. where an ordinary object becomes fascinating. Where the shadow of a tree has a whole world inside it. Where animals have personalities and magic becomes possible. The artist reception will be held, during Second Saturday on May 11th from 2:00 - 4:00 pm. This exhibit is free and on view for the months of April and May. Art on the Trax is located at Creative Framing and The Art Box, across from the Old Crozet Train Station, at 5784 Three Notch'd Road in Crozet, Virginia. Artist Statement: My work tries to reconcile the disorder of nature and the rigid order of graphic design. I try to recreate, yet re-imagine, the beauty of natural textures and inspiration in modern and geometric compositions. I am especially interested in art nouveau and how historic depictions of nature can continue to be reshaped for a more contemporary world. Drawing on her education in biology and music, Lynchburg artist Deliece Blanchard, uses elements of rhythm and lyrical shapes, along with a sharp observation of the landscape in her plein air paintings. This show features work created in Montana, Wyoming, and Colorado where Deliece often paints while her husband Fred, fly-fishes. A fellowship at the Virginia Center for the Creative Arts in Amherst, VA, gave Deliece an opportunity to make large paintings from these small plein air studies. Her prize-winning work has been shown throughout Virginia. Tom Paquette enjoys the idea of capturing an image of an animal or person existing in a miniature world. Nature objects, creatures, plants, and fungi are magnified and become part of the story as they interact with a "mini". Tom's love of photographing mini figures began several years ago when he saw a few of them sitting on a kitchen table. Fueled by his love of the outdoors and timed with his discovery of Instagram, he started setting up mini nature scenes he could photograph and post on the social media platform. As his passion was reinforced by encouragement from his friends, he kept adding more mini figures to his collection and continues to seek out adventurous places to photograph them. Amy Mullen is a self-taught digital illustrator living in Arlington, Virginia. She graduated from Sweet Briar College with a BA in Dance and a minor in English & Creative Writing. In 2009, Amy created Mint Parcel, a line of affordable art prints for kids featuring animals, monsters, pop culture figures and famous literary characters. She is a member of the Society of Children's Book Writers and Illustrators, and has an affection for all things related to the children’s illustration market. Amy is the author/illustrator of several children's books, including the Naturally Local series from duopress. These board books explore the colors, wildlife, and vegetation of different regions of the United States. From the artist: "My work is concerned with beauty and the picturesque landscape: the clear, blue day that warms the soul; the waterfall that flows with sound and movement; the peacefulness of an afternoon stream; the colors of a tree changing seasons." His work features iconic Virginia landscapes, with beautiful scenes from Farmington, the Blue Ridge, James River, and elsewhere. Art on the Trax featured illustrations and assemblage by Nancy Atkins who illustrates books by local author Helen Williamson. The Art Box showcased illustrations from four of Helen Williamson's children's books as well as inspired mixed media art work from Nancy Atkins. In his words: "Born in downtown Miami, in a neighborhood rich in diversity and violence, my mother kept me busy every day making scrapbooks full of patterns created by cutting pieces out of magazines and pasting them together. Today I see patterns everywhere, mostly in nature but really everywhere. I call mans interaction with these patterns the human dilemma." 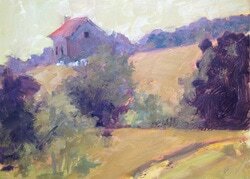 Judith Ely, Charlottesville area artist presents abstracted landscapes in acrylics. Her intention is to leave much open for the viewer to decide. Enjoy the outdoor scenes and the whimsy that goes along with them. From the artist: These bird nest paintings celebrate the cycle of avian parenthood, which is condensed into a much shorter time frame than humans – four to seven weeks from constructing the nest, to embryo, to fledgling. Ready for flight! My nest works use tar along with oil paints, plus added textures of natural and found materials, often from old bird nests. Christen's paintings explore our relationship with the surrounding landscape using loose and suggestive strokes that imply an immediacy of encounter within which she wants the viewer to linger. Her current show records her attention to and delight of the land and animals in and around White Hall. Christen lives and works by the mountains on Sugar Hollow Road with her husband, four kids and flock of hens. ​Born and raised in Charlottesville, with a Canadian heritage, Tracy Knight grew up surrounded by art and creativity. Painting has been in her family for many generations. Working with colors, whether it is canvas or fabric, has always been a passion for Knight. The essence of color is the foundation of her work. Inspired by her love of the ocean, clouds and her mother’s gardens, Knight works primarily with pastel colors. Experimenting with different techniques and mediums to bring colors to life, she expresses nature in abstract form. The wonder of flight, combining an affection for aircraft and adventure with a love of nature, Phillip Radcliffe paints what captures his imagination. Detailed war planes soar over dramatic clouds contrasting machining marvels with natural beauty. Birds isolated on flat backgrounds showcase these incredible flying animals. Rendered with watercolor and pen and ink the work showcases an attention to composition and a respect for the subject matter. Mallin has come to painting late in life, during her retirement from careers in psychotherapy and the Episcopal ministry. Color is what captures her most. She chooses to work in acrylics because of the vividness of their color. In floral and still life paintings she has especially enjoyed the many things acrylics can do with additives such as molding paste and gels. In the last several years Mallin has been involved in paintings themed on social justice. In these, she intends to convey an understanding of the disadvantaged or discriminated against who sometimes seem alien or frightening. Wearing Nature” is a show of hand made clothing and accessories made of wool, silk and gathered plant materials. Garments and accessories create a forest of items available for personal adornment. In her beautiful fiber work, Tremaine applies the techniques of wet felting, eco-printing and hand dyeing; and uses local plant materials to create eco-prints (botanical prints) and natural dyes on a variety of natural fibers. Surface design is built in layers of abstract and discernable patterns, reflecting back on their material origins and creating endlessly unique textures, colors and patterns. All of her work is inspired by the ever changing beauty of nature: Inspired by Nature, Made by Hand. From the artist: “My painting takes its inspiration from my surroundings. I am drawn to nature and its natural beauty—the trees, the lay of the land. The Virginia Blue Ridge Mountains is where we have our home. This show is a collection of works completed "en plein air" by a group of friends from Staunton, who love to paint outside. They paint once a week in the Staunton/Augusta County area, usually on Wednesday evenings starting around 5:30 or 6:00 pm, and then painting for a couple of hours. All are in agreement that it has become one of the best parts of the week and has helped them to become better painters. Most times, they finish their paintings before the evening is over. Because the light is ever-changing, especially in the evening, one must paint quickly and decisively. 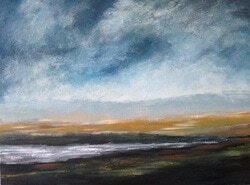 From the Artist: I've come to painting after a career as a writer and teacher of Literature where Voice matters. Voice seems essential to painting as well. The natural world speaks in its various seasons and moods. These Evocations respond to the seasons: the bouyant light and blanketed calm of winter snows, Autumn's mute fog or sanguine fields, Spring's quaking greens, Summer's call to look close and far. And sometimes a clutch of flowers that simply say, Glad to be alive. "An Exhibition of Chair Drawings" by Joe Sheridan Born in Albemarle County and now a resident of Waynesboro Virginia, Joe Sheridan is an craftsman, artist, teacher and curator. He has been living and creating works of art in central Virginia since before he graduated with a Masters Degree in Fine Arts from James Madison University. Joe was Curator of Art for John Kluge at Morven Estate outside of Charlottesville Virginia, for fourteen years and has worked as Preparator and Art Consultant at the University of Virginia's Art Museum, Staniar Gallery at Washington and Lee University and the Hunt Gallery at Mary Baldwin College. Sheridan also teaches Rustic Furniture Workshops and Studio Art, having been an adjunct instructor at James Madison University, Washington & Lee University, Mary Baldwin College, Piedmont Virginia Community College and was Director of UVA Art Museum's Summer Arts Program. Sheridan also designed and instructed “The Visual Language Workshop” for the Artisans Center of Virginia, the Virginia Art Education Association other various groups. In addition to his work as a Craftsman, Sheridan is also well known in the region for his work as a two dimensional studio artist . From the artist: "For as long as I can remember, I wanted to learn about the opera, watercolor, and to write a book. So, in May of 1995, when I was riveted by the paintings I saw in the window of a local bookstore, I said, 'I want to paint like that!' Two weeks later, I met the artist who changed my life. Emily Bracale and I worked together for three years and with her I gained the courage to explore the basics of watercolor and eventually outgrew the kitchen table and into the full watercolor studio I now have in my home." "Leaves and Pages: You name it!" is a collection of watercolors and mixed media works featuring leaves and pages from journals. The group is intentionally untitled. Titles are left up to the viewer. What will you name each one? From the artist: “Fragments, pieces of paper torn, cut crooked. I take pleasure sifting through to find tiny pieces that resonate, hold visual meaning, and subtle beauty. As an exercise, I make tiny one to two inch collages on three by four inch paper. There is a challenge to discover the most intricate and sensitive compositional connections I can make, and piece together experiments in composition…collage images allow me to grapple artistically with my concerns about the environment and layer with an interest in the spirit that is held in the handwritten markings.” Vincenti is a graduate of Rhode Island School of Design, has studied with Dean Dass in the University of Virginia Aunspaugh Fellowship Program, and completed a residency at the VCCA in Amherst, Virginia. The works in this show are influenced by a year of working in nature, gardening and learning about the animals all around us. In this year of study, Minnerly has become aware that much is hidden in plain sight. She also includes images that represent feelings that have arisen during this time - from solitary contemplation in the early morning and sunset. Four friends will be exhibiting their work together during the month of April. All four artists are based in the Crozet/Charlottesville region and are avid painters of the world around them. Priscilla Whitlock transcendent landscapes exhibit an absolute sureness of place capturing light and atmosphere in paint. 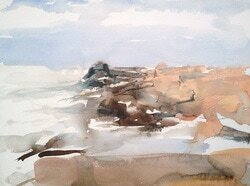 Krista Townsend captures her landscape images using juicy brushwork, an eye for composition and drawing. Jesse Cole's still life images are her tabletop landscapes. She focusses on the intimate relationships between the objects and the negative space around them. Karen Blair's work is a conversation between representational and abstract painting. She celebrates the natural world through her effusive use of color. The paintings in this exhibit are from the magical landscapes around the barrier islands and coastal marsh of the Virginia Eastern Shore. Karyn Gunther Smith was invited to be an Artist in Residence by Dr. Art Schwarzschild of the Anheuser-Busch Coastal Research Center of the University of Virginia. Dr. Schwarzschild has promoted the linking of art and ecology through education and experiences. Ms. Smith states "I wish to draw attention to the natural beauty and bring a sense of connection between individuals and the environment. I hope to heighten awareness of these fragile areas and inspire responsible stewardship." As a keen observer of nature's details and an inspired observer of the "big picture", Betty documents the beauty and intricacies of nature in her watercolors - botanicals, feathers, and landscapes. Observing "up close" as well as "far away" she strives to document the natural world. Gatewood has provided cover art for numerous publications including Virginia's Mountain Treasures and the Virginia Native Plant Society's Wildflower of the Year brochures. She has contributed illustrations for books produced by The Appalachian Trail Conservancy and The Virginia Department of Forestry. She has also illustrated a new children's book, "Milkweed Matters: A Close look at the Life Cycles within a Food Chain". 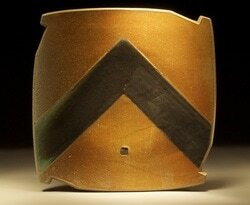 Charlottesville based artist, Patrick Gibson creates contemporary functional ceramics. He believes that the use of thoughtfully designed, beautifully crafted vessels can enhance our everyday lives and elevate our daily rituals. His work favors soft lines and utilizes surface design that promotes spontaneity over more laborious or planned techniques. Through the careful application of glaze, he strives to impart an ethereal buoyancy and calming serenity to his work. Stacey Evans began her photographic career in the middle school as a yearbook photographer. She went on to study photography at Virginia Commonwealth University and received a Bachelor of Fine Arts in photography from the Savannah College of Art and Design. Currently, Stacey works as an artist, educator and commercial photographer. She is interested in how people occupy, shape and transform the land for use; how our experiences and feelings change over time and what we can read into the collective artifacts left behind. Stacey exhibits her work regionally and is a resident artist at the McGuffey Art Center. 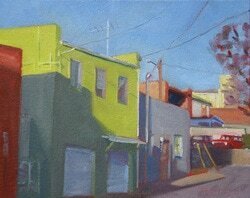 Stacey lives in Charlottesville, Virginia with her husband and fellow artist John Grant. Ever wonder what it is like to paint outside in plein air? Meg West does it every day and says she enjoys "the rhythm and momentum that comes with a steady flow of painting...You are living in your painting while you are painting it...The painting is not like a photograph, it is your impression for that day, that light and mood of what you see. The best part of painting plein air is that you are breathing, seeing and experiencing the view large all around you." Come by and see our part of the world through Meg West's eyes. Alexandria Searls used an underwater camera to photograph leaves and other travelers on the Rivanna River and on other local waterways. She shot up through the water, often revealing clouds. Sometimes the surface of the river is a mirror, and other times it is a lens to the outer world of sun and sky. Her book, "Floating in the Summertime" is the basis for this exhibition, though she also includes unpublished photos. Painting, printmaking and drawing have been cornerstones for Lynchburg artist, Jill Jensen. She has used them separately to create finished works of art and since 1998 has combined them in her fiber based work. Jensen’s work combines her love of bold graphic images and intense color. Relief printing provides her with the opportunity to swim in those elements. Beginning in June 2001, Jensen started a weekly practice of making small art quilts. One shape is chosen for the entire year and each week she creates a journal-like entry. Her work has been included in regional, national and international exhibitions and twenty, one-person shows. She has been a fellow at the Virginia Center for the Creative Arts, and has had seventeen artist-in-education residencies. ​Rod Marshall-Roth has deep roots in the Blue Ridge Mountains and the Roanoke Valley. His artwork focuses on the nuances of light in the landscape and details he observes contemplating the world. His paintings present quiet places and interesting views of ordinary scenes. A keen observer of nature and life and a voracious seeker of knowledge, Marshall-Roth was drawn to a combined academic focus on biology, art and architecture at Virginia Tech. A career involving significant world travel has informed later artwork, while at the same time making more precious those original themes that come directly from the Blue Ridge Mountains. Page Peyton was born and raised in Charlottesville, Virginia. The Blue Ridge Mountains and the rural Virginia landscape have always been a backdrop to her life and an inspiration for her painting. Whether it be her own Central Virginia backyard of Albemarle, Nelson, Amherst, or Botetourt Counties, Page's beautiful artwork is bound to capture your imagination. Jen Maton started her love for calligraphy at the early age of 12, when her parents gave her a Sheaffer pen set and a pad of colorful paper. Her love for the medium landed Jen in college for art and graphic design and then a career as a graphic designer for a publishing company, designing everything from book covers to packaging and catalogs. Eventually, Jen decided to leave the corporate world and enter into her own venture - If So Inklined Calligraphy and Illustration. Jen now works with event planners, designers, and nationwide magazines... and lives right here in Crozet! Sam Abell, a world renowned National Geographic photographer and Crozet resident, selected the winning images in this year's competition. From over 200 submitted photographs, he selected images to reflect the greater Crozet area in various seasons of the year. We are happy to display the winning entries in our gallery. Area artist, Linda Bond Verdery, comes to painting through the sidedoors of writing, gardening, and design. Academic training in Comparative Literature and Art History has focused her attention to culture, structure and expression. Verdery is especially drawn to painting that has a voice. Poems read, gardens planted, flowers arranged, buildings renovated or the haunts of childhood inspire and inform this artist. Steeped in rural living, landscape painting feels natural to her; as she also sees figures and still-life as landscape. ​Local artist, Marissa Minnerly was born in New York City and grew up in Mexico. She has been making art since childhood. At sixteen, she attended the Negrette Institute of Art in San Miguel de Allende where she studied painting, life drawing, and stained glass. She then returned to New York and worked as an art counselor at the NYC Children's Museum and spent time at the Art Students League. Minnerly finished her study with a degree from the School of Visual Arts. Growing up in Mexico has remained an influence on Minnerly's art, as well as interest in Gaelic spirituality and culture. "Soul Windows" is a collection of assemblages and paintings influenced by Minnerly's recent travel to the island of Iona in Scotland. 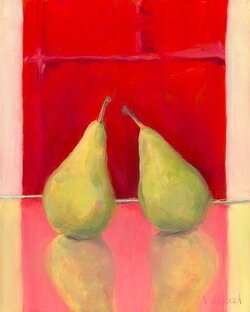 ​Free Union artist, Helen Hilliard, paints landscape and still life using a realistic approach. She enjoys the challenge of creating a painting that invites a viewer to enter into the scene and stay a while. Painting gives Hilliard the chance to express her vision of the world around us. This is a constant challenge and lifelong pursuit. She has studied fine art at the University of Virginia, The Corcoran Institute, and Schuler School of Fine Art, and has also run a business as a decorative painter in Washington, DC and New York. 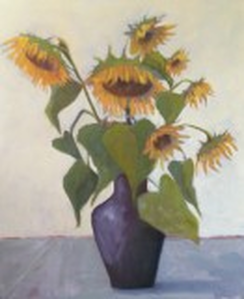 ​Local pastel artist, Nancy Galloway is a student of the natural world. She has experience in clay, paint, and dry media, exploring landscapes and still life for 25 years. The pleasure she finds in observing light and nature are apparent in her pastel paintings. ​Blue Ridge Art Guild, formed in January 2014, is an autonomous group of representational painters with studios in the Charlottesville-Crozet area. The Guild's mission is to broaden artistic horizons through the exploration of the creative process in fellowship with other members. The mission honors such groups as The Impressionists, The 10th Street Galleries members and The California Bay Area Painters with a rich exchange of ideas and encouragement. Exhibitions focus on a shared quest of careful observation seen through the prism of individual experience. Artists involved in this group are Anne French, Bridget Atwell Baylin, Carol Zeimer, Hina Naeem, Lanier Bogen, Sarah Tremaine, Sarah Henry Trundle, and Tara Bolt. ​Susan Viemeister is a slow painter and uses painting like meditation. She thinks about "how light seen on a subject can express the personality of a place or a moment in time. Rendering the character of such light can galvanize that moment into an image or into a memory. Painting is a medium that can be used to explore the intimacy of what is familiar, to understand what that intimacy can hold." Local artist, Nym Pedersen, says of his show: "The subject of color difference is the broad theme of "American Skin." I have chosen a group of work that reflects my own contemplations and experiences regarding race in America over many years. Not only in the sense of a black/white dichotomy but more broadly from the perspective of different skin color, and how that visual variation defines so many aspects of life here and around the world. "From many come one" is a difficult myth to bring to life, but it does happen. I borrowed the title of the show from a song of the same name by Bruce Springsteen. Boss, don't sue me." A collage artist that truly lives the craft, Joanna Mullen is constantly cutting out images, purveying supplies, and orchestrating new compositions. Her contemporary works are vintage-inspired and conjure nostalgia. Her familiar landscape seamlessly blends with dreamscape. The artist says of this show, "The long view is a metaphor for placing things in perspective. This is true in a purely physical way as in painting a landscape at a distance. But it is true as we look at our surroundings, our lives, and our selves. So perhaps a painter is always painting the landscape inside himself." Albert has always been fascinated with landscape and has found great pleasure placing paint on canvas to portray what she sees. 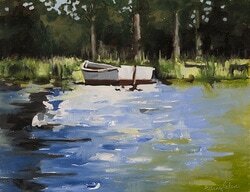 ​Plein air painter, Elizabeth Sauder, spends most days painting. To explore and become intimate with a place, Sauder ventures out to each painting site at various times of day and weather conditions. Through painting, she finds the fundamental characteristics, the essence, of the land she calls home. In the summer, Sauder packs up her camper van and spends her days and nights chasing rural carnivals and painting in the midst of "colorful chaos, happy crowds, and the smell of popcorn and cotton candy". Raised by an artist mother, Dede Buhler grew up immersed in art. After finishing school with a degree in art from Virginia Tech, Buhler explored many careers from real estate renovation to personal training to landscape design. One day in 2008 she was suddenly overcome with the urge to paint. This urge inspired Buhler to try a new and looser approach to painting - acrylics being poured, blown around, flooded with water. Buhler follows the paint in the direction the painting wants to go. Julia Lesnichy is a Russian-born impressionist oil and pastel painter. Her work is generally plein air and alla prima, using a broken-color technique. She is a student of color and light, rendering the beauty of nature. Rachel Singel received her BA from the University of Virginia and has gone on to receive an MFA from the University of Iowa and participated in residencies at Penland School of Crafts and the Venice Printmaking Studio. She currently is teaching art classes at Albemarle High School and the University of Virginia. Singel is a printmaker who is inspired by the beautiful and complex forms she sees in nature. After spending last summer at Haystack, an artist colony in Maine, artist Tim Michel returned to Virginia, inspired. For Michel, the natural world is an ever-present muse and art is the highest form of communication in which he engages. "Maine and Other States of Mind" is a perfect example of where the two meet. Local artist, Jessie Coles, has gathered together her students to show off their stuff! "Tabletops and Trees" includes all local artists: Chris Tucker, Mary Murray, Lindsay Freedman, Maggie Walker, Susan Weiss, Randy Baskerville, and Nancy Campa. Nancy Wallace, a Charlottesville resident, is a representational painter. Working in oil and gouache, she intends for each painting to achieve a distillation of life as she is experiencing it. Wallace's work ranges from figure, to landscape, to her four-legged family members. An Albemarle County native, Joe Sheridan's experience ranges from curator, art consultant, art professor, rustic furniture craftsman, and visual artist. This exhibit explores the visual language of image, mark, and texture. This show of drawings is compiled of layers that the viewer can investigate and decide, personally, what is important or pleasant to see. Artist, Judd Jarvis, fires his work in a hand-built salt kiln on his property in Nelson County. "Transition" is a snapshot of a moment before a change in Jarvis' work. As he continues to fire at a lower temperature, Jarvis is experimenting with new surface and colors. Each firing creates a new balance and strikes new ideas for his next body of work. Guided by an inner voice, Janet Pearlman engages in the mystery of creativity. Images unfold on her canvas as she follows this impulse, first inspired by the images found in Chauvet Cave, France. For Pearlman, painting is celebrating life. 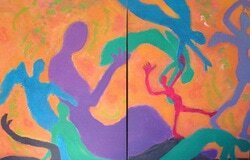 “Evolving Inspirations” is a collection of both figurative and landscape works in acrylic. Crozet local, Michelle Nevarr is a lifelong artist in every sense. She is ever inspired by the peaceful magnificence of nature and Central Virginia is an ever-changing source of inspiration for her art. "Virginia, Mountains to Shore" is a collection of landscapes and creatures in pastel and acrylics from the Allegheny Mountains to the Eastern Shore. 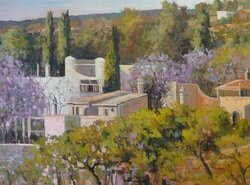 Local artist, Gray Dodson, works on site, rapidly capturing the character of place, moment and mood in her landscape paintings. Born in the Tidewater area, Dodson now lives in Nelson County and is a full time painter, traveling throughout the United States, Canada, Europe and Mexico. 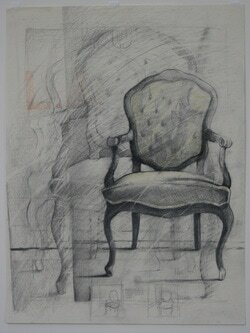 ​Area artist Lee Halstead will be exhibiting drawings and paintings that she creates from life. Lee states that "The drawings are created with built up layers of graphite and careful observation often taking many hours to complete. The paintings are mostly created in one sitting responding to both vivid and subtle colors of the fruits and flowers." ​This exhibit is a manifestation of David Eakin's love of painting landscape and his love of experimentation with new media, new surfaces, and new compositions. Eakin is a native Virginian who works and resides in Forest, Virginia and has received awards for his work in regional and national exhibitions. Staunton artist, Leslie Banta, explores enclosure with her vast landscape paintings and escape inside her tiny boxes. Her landscape paintings are rhythmic and focus on color blocks that are interrupted with collage elements. Her boxes create private spaces for the viewer's imagination. Both conjure further exploration of what is familiar. ​"Light & Life of Plein Air Painting"
Local plein air painter, Meg West, is inspired by the beauty around Albemarle and surrounding counties. The rolling hills, mountains, farmland and woods provide elements for her interesting compositions. The act of painting is most important to her, connecting to her environment. She paints everyday and enjoys the rhythm and momentum that comes with a steady flow of painting. ​"Inspired by the dramatic, ever changing qualities of light and atmosphere, mass and line, my paintings attempt to interpret environments as encounter and recollection rather than fact." feature Krista Townsend's explorations of color and light. She paints a wide variety of subjects and this exhibit will showcase her recent urban studies of the Charlottesville area as well as small travel paintings and chicken portraits. 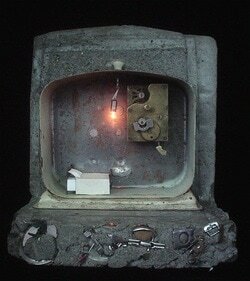 ​During the month of August 2013, Art on the Trax will host an exhibit of recent works by Peter Hunter. Hunter is a local watercolorist and he will be exhibiting a collection of works from his travels including Gloucester, Massachusetts, The Coast of Maine, Colorado and The Midlands, England.